Masterpiece has to offer this 1985 Jaguar XJS HE in Carnelian Red Thermoplastic Sebring exterior with Black leather interior. 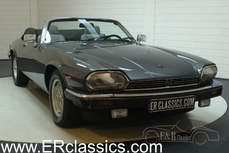 The replacement for the iconic XKE, the first XJS was produced in 1976. 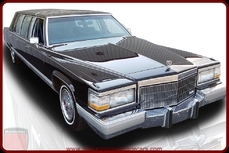 Powered by a 5.3-liter V-12 aluminum engine and GM Turbo Hydramatic 3-speed transmission producing 295 hp. This Jaguar has been well serviced throughout its life. 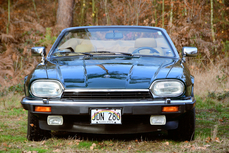 The Jaguar XJS models are starting to be noticed by the collector car world. The sound of the V12 engine is worth the price of ownership alone. 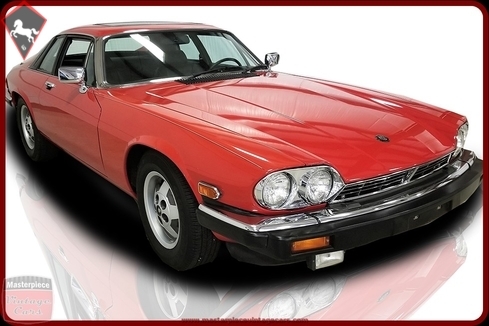 The Jaguar XJ-S design started around 1965 with the first production car being sold in 1975. It was primarily designed by Malcolm Sayer, with input from Sir William Lyons, but was completed by the in-house Jaguar design team, headed by Doug Thorpe. Although it's assumed the Jaguar XJ-S was a successor to the very popular E-type, it was in fact intended to be very different. 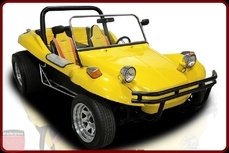 It would be comfortable and luxurious, less of a sports car and more of a sports tourer. Externally the Jaguar XJ-S is most noticeable for its sweeping from the top of the rear roofline down to the rear of the spoiler. It gave the, quite large, Jaguar XJ-S an excellent drag coefficient - better than the E-type - allowing it to attain nearly 150mph. The XJ-S's engine was a fuel-injected version of the E-type's 5.3-liter V12. It was thirsty though, so in 1981 the HE engine was introduced. 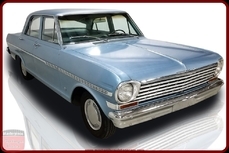 With a modified cylinder head design and a better ignition system, fuel consumption was improved by over 20%. 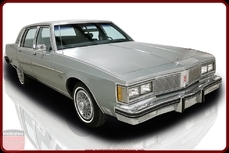 Transmission was the robust and smooth GM400 3-speed auto. The V12 auto remained in production for all 21 years of the Jaguar XJ-S/XJS production history. 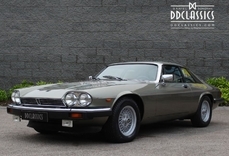 The options include: climatic air conditioning, electric windows & mirrors, full leather interior, Sports leather steering wheel, rear spoiler, lockable glove compartment, on-board trip computer, and the original Jaguar radio. The car benefits from an improved flow exhaust. This Jaguar is equipped with 15-inch Jaguar alloy wheels with Goodyear P215/70R15 tires. This Jaguar is what this show is all about. A 33-year-old sports car that you will see is a great find so if you are looking for a nice fun hobby and to Join the Jaguar Family for not a lot of money, well then look no further as this is the car! Call or email us for any information or to check the Jag out! 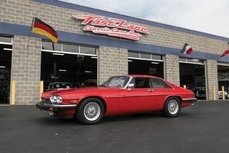 1985 Jaguar XJS 5.3L V12 is listed sold on ClassicDigest in Whiteland by Brian Johnson for $12900.